Carry out a quick search online to sell your house fast and you will find a long list of homebuyers. But bear in mind that selling to professional homebuyers will ultimately mean selling it for less than full value. Instead expect offers of between 75 – 85% of the open market value of your property. And like any house sale, any final offer will depend on two main factors – location and condition. You may decide to sell direct to a house buying company as the the perfect answer to a problem. This could include relocation or emigration or to avoid having to complete a full refurbishment of an inherited property. Or maybe you need to resolve financial difficulties, to avoid mounting debts or even to stop house repossession. Whatever your reason is for deciding to sell for a quick house sale we are here to help. Today there are measures in place to help protect you when searching for companies that will buy my home fast. As a result of some unscrupulous firms having previously had poor business practices the UK Government has for some years now insisted that all quick sale house companies adhere to a strict code of practice. This means all house buying companies now having to become members of a leading redress scheme such as the one run by the Property Redress Scheme. These schemes now mean that provided the company that you choose to buy your house for cash is a member you will have somewhere to go in the event that things do not go according to plan. You can now carry out a simple online check to ensure the company you are looking to sell to are indeed a member. Having bought many properties over the last 20 years our team knows what it takes to acheive a hassle free property sale. People often say that selling a house quickly is one of the most stressful life situations. However, often most of the stress involved in moving home can be removed. Selling a property fast means both buyer and seller being proactive at every stage. This means working together to ensure the process runs as smoothly as possible. This includes dealing with all solicitor enquries quckly and completing all paperwork in a timely manner. This is where we come in. We are experts in managing fast house sales from the initial valuation right through to the day of completion. Having decided to sell my house fast you will have opted for a hassle free sale. 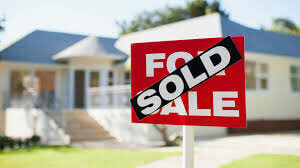 Selling via a traditional estate agent can mean that a typical house sale takes approximately 12 weeks to complete. And with problems such as delays in mortgage financing, a failed property chain or even buyers pulling out this does not help. The good news is that here at National Property Buyers we aim to buy most properties in as little as 28 days. And we always aim to buy with cash so as to avoid any delays. What’s more we are not part of any chain and so you have a more secure method of selling. Many homeowners are surprised at the properties that we have been able to buy. Whatever your reason for needing to sell your house fast we are here to help. We buy any house regardless of condition and situation. So you if you are looking to sell but are concerned about the overall condition of your property do not worry. Instead, simply enter your details at the top of this page for our Free, No-Obligation offer. Why sell to National Property Buyers? Our business is all about being transparent. From our initial contact with you right up to the final day of completion we will be open and honest with you. We will share with you the results of our research into comparable prices for your property together with full details of the survey carried out by a Royal Institute of Chartered Surveyors valuer. These two points alone will be the driving force behind our final offer and we think it is only fair that you should have a copy too. We will never charge you any fees or tie you into an unfair contract. And finally, you are in full control as you are free to pull out of the sale of your property at any point up to completion day at no cost to yourself. Selling your property fast to National Property Buyers is a simple and straightforward process thanks to the systems we have in place. We are one of only a few genuine companies that buy houses for cash without delay. Alternatively contact one of our team today for a Free, no-obligation chat on 0115 740 1900.